With or without him? Get with it. Maybe I’ll never understand some markets. Their clothes are trendy, he has the right beard to be ‘in’ at the moment. 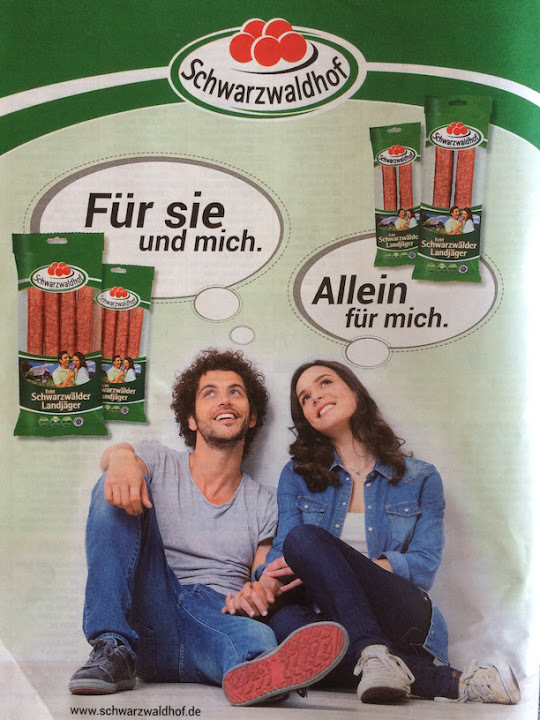 The background is appalling, the imagery reflects nothing of the pure Black Forest ingredients. But we get a clear message: share this with a loved one, or be selfish and enjoy it by yourself. 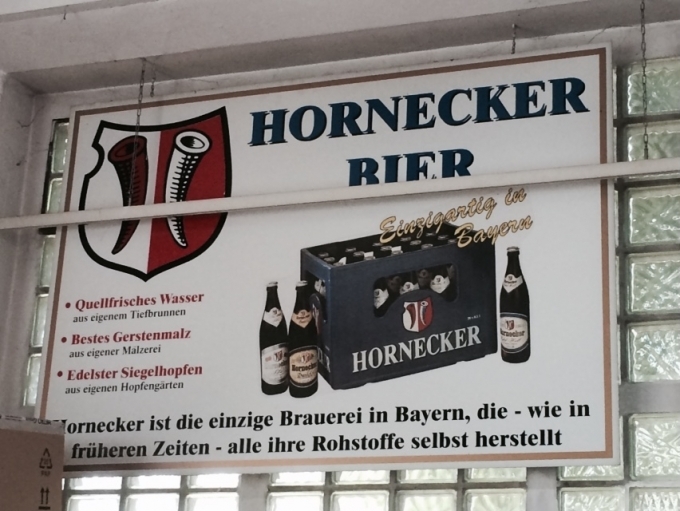 I discovered this next ad purely by chance in a Bavarian backwater, while searching for a men’s toilet, at the back of an obscure petrol station, in a backroom where they sold beer. Ok, a well placed ad near the beer brands, but so difficult to see that it was easy to miss. I did spot it though and was impressed by it in a strange way. They’ve done what all marketing specialists should do: find a USP. This is a very small practically unknown brand on the German beer market (I’ve not met anyone who knows it yet), but somebody at the company worked out they have something special to talk about. Shame it gets lost and will sadly be forgotten one day, but good thinking. This entry was posted in Watch and wait. Bookmark the permalink.